After learning the truth about Adil, Tooba’s father is shattered and it’s justified as this entire time he trusted a man who was no less than a devil. The two faced Adil ruined Tooba! The man deserves to be put behind the bars rather than being out and breathing the fresh air of freedom. Is this fair that Tooba suffered alone while her culprit lived a happy life? Her father reminisce all the times Adil pretended to be a saint while he was truly a crook. He was so blinded by the love that he just couldn’t see Adil’s true colors. On the other hand, Adil and Hadia constantly bicker solely because of Tooba, now that she has returned in Adil’s life he is losing his senses all over again, and trying to make her life a living hell under the same roof as everyone else is. Can someone be actually this wicked? His tricks and tactics can’t be ignored, furthermore, Tooba’s father has now become paranoid which is understandable. He’s began to go an extra mile to keep his daughters safe. The reason? People like Adil. Watch Ghayal Now! 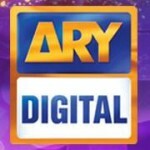 On Ary digital. The previous episode moved forward with Adil’s wife witnessing how Tooba and Adil were bickering and he kept on making an effort of gaining her attention. Now that she is aware that Adil was in love with Tooba, it really hurts her and the fear of losing her husband hit her hard. Adil doesn’t want his secret to be revealed which is why now he’s taking drastic measures to prove how ‘brave’ he can be. Ghayal has reached to the point where the story is now exactly where it began, Adil is mischievous and his plans are dirty as ever, Tooba and her fear of losing a loved one and her honor. Now that Tooba’s father has found out the truth will he take any action? Ho will Tooba fight Adil this time? What else does he intend to do with her? How much more pain does he wish to give Hadia and Tooba? Will Mahira ever be together with her Faiz? These sisters are facing tragedies which are unbearable, how will they survive? Watch the next episode Ghayal only on ARY Digital at 8.00 pm on Thursdays.